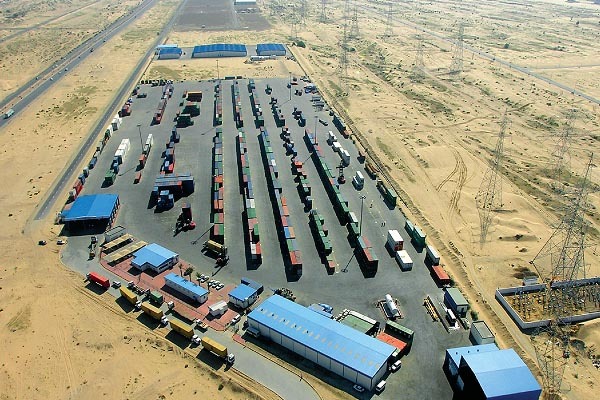 Sharjah Inland Container Depot in the United Arab Emirates. The Middle East's express, freight forwarding, and logistics sectors are expected to weather a global depression and experience considerable growth during the coming years, according to Middle East Transport and Logistics 2010, a new report from Transport Intelligence, a Wiltshire, U.K.-based research firm. Despite recent problems in Dubai, foundations are in place for buoyant growth once the global economy recovers, reports the study, which examines air, sea, road, and rail industries throughout the Gulf. Middle Eastern countries have invested in and built out transportation infrastructure that will allow the region to optimize its location as a regional transshipment hub. Nowhere is this more apparent than in the United Arab Emirates (UAE). The World Bank recently identified the country as the best-performing logistics hot spot in the Gulf, ranking 24th in the financial institute's biennial Logistics Performance Index. UAE is followed by Bahrain (32), Kuwait (36), Saudi Arabia (40), Qatar (55), and Oman (60).